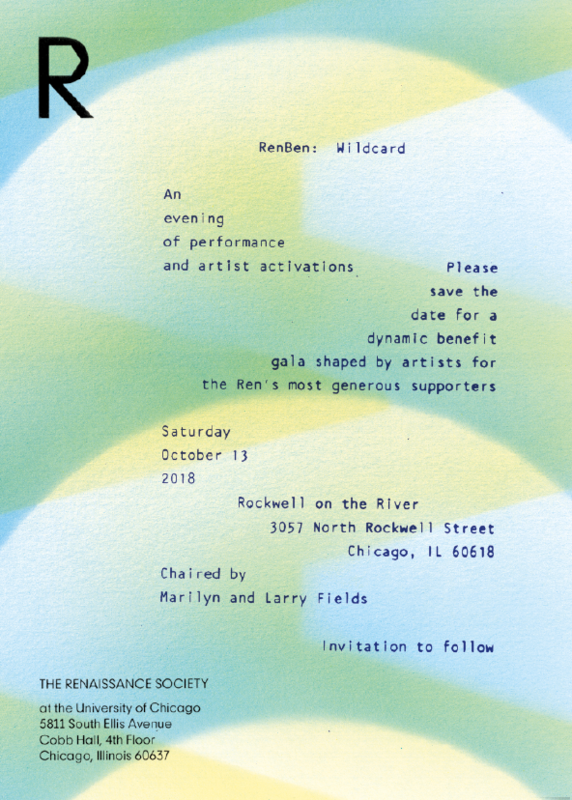 Wildcard is a dynamic gala benefitting the Renaissance Society’s 2018-19 program. Wildcard draws on the Ren’s curatorial strength to present an exclusive evening of artist activations and performances. Wildcard brings together the Ren’s most generous supporters. Wildcard introduces a new, biannual benefit model for the RenBen. Wildcard is ephemeral, temporal, and immersive. Wildcard reflects the Ren’s spirit of agility and experimentation.